Vacation rental house. Sleeps 7, 2 bedrooms, 1 bathroom. No pets allowed. Sunrise over the Gulf of Mexico from the front porch of Casa del Agua. Nice place right on the beach. It was a wonderful home, in a great location. We loved that it had basic supplies. It was very well stocked. It had a great layout. The beds and furniture was comfortable. The staff was very helpful. I would have preferred a bigger washer and dryer. Maybe a stacking unit would have been better. Other than that, everything was great. It was well appointed. Had all the dishes and cooking utensils. It is older but seems to be well maintained. 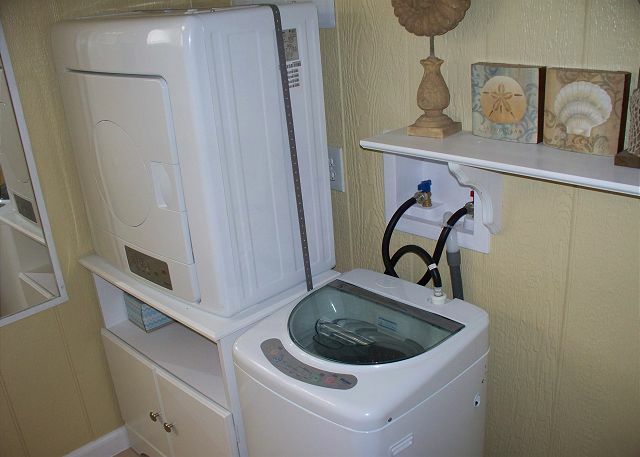 The washer and dryer are small. The 4 slice toaster has died but they had a 2nd 2-slice toaster that worked fine. Who knew how nice the beach could be in October? Had a great time! House was close to the beach....the huge picture windows and the porch were our favorites. Great water front location, very clean and comfortable beach house. The ONLY thing we wish we would have had was ear plugs to "drown out' talking/ noise from the Rental unit (deck) next door which is literally 10-15 feet from both bedrooms. Felt like we were sleeping on their patio. Other than that, and the lack of sleep, it is a great rental ! Very clean and well stocked little beach house! Perfect for our little family of four. The beds were very comfortable and clean. We have stayed at other houses in the Surfside community and this one was the best one so far! We will be back. We've been ranting this house for the past 14 years, enjoying and elaxing each stay. Being right on the beach is fantastic! The house has everything you need and through the years they have continued to make improvements. I recommend this house and the management to everyone. This is a place to make life long family memories. Great location right on the beach. House was well supplied and we opted for the linen and towel service so we didn't have to provide our own - worth it. Wish the couch was closer to the tv or the living room furniture was more comfortable for watching one of the many supplied movies but that was the only complaint. This is a cute little house right on the water. It's an older home so it's not perfect but you can tell the owners take pretty good care of it. It's clean and the kitchen has everything you could possibly need. I loved hanging out on the deck and would definitely come back again. This little home is perfect for a small group. It is so convenient with it's location. Just a short walk to the beach. Also, there is a little of everything at the house so you really only have to bring your clothes and food (if you plan to cook). My husband even fell while out running and came back in to find ointment spray to put on! It is just minutes away from several local restaurants as well. Two minutes down the road to go horseback riding. One hour from Pleasure Pier. Relaxing, fun with my grandsons. Clean, comfortable and well placed. This was our 11th summer staying in Casa Del Agua, we just love it! It is perfect for a family of 4. The location, being directly on the beach, is fantastic! I relax on the porch looking out to the ocean with a nice cool beverage, very peaceful. When we arrived we did not have clean linens. After a call to the management company, they were very polite and apologetic, and delivered fresh linens. The 1st time I stayed at his house was 1986 when my daughter was 2. In 2010 we honeymooned at the Casa Del. It is perfect for a couple, quiet and best end of the beach. The bed is a little hard and the wicker furniture is pretty but uncomfortable for any lenght of time to sit in. House was well stocked and very well kept. It does need a faucet down stairs as the shower barely rinses you off. But we had a great stay again and would recommend for a couple or small family. The house was lovely, equipped with everything we needed for a comfortable stay. We had a problem with the TV, and management sent someone quickly to resolve the issue. Loved the house and loved out stay - but there is one giant issue. Rattlesnakes! Within one week, 2 five foot rattlers were killed on the paths to the beach around our house. Surfside needs to address the snake problem and renters need to be told about the snakes. I saw kids running alone on the paths to the beach - very scary. The home was exactly as described, no surprises. The weather was beautiful. The wind was constantly blowing a cool breeze. Built- in BBQ. Nice place for a get away. Would definitely stay in this house again, very clean and well cared for. The beach was nice and clean . Looking forward to coming back soon .Management always courteous. Love it... Beautiful location & view. The price was very fair. I would stay again. Only 2 things wasn't satisfactory. The wicker furniture was very unconformable & the hot water for the shower was barely warm. Other than that the accommodations were clean & nice. You could tell the owners take great pride in their home. We had a great time in Casa del Agua. House is beautiful and we loved being right on the beach. The only two negatives were the sofa bed was not comfortable at all, and the washing machine/dryer were mini-sized, so we could only put about 2-3 things in at once. We stayed over the Thanksgiving holidays and the property and location were excellent. We had a great time. The view was wonderful out the large front windows. When it got cold we just opened the curtains and watched from the warm inside. This was my first beach rental and it met or exceeded all expectations. Could not have asked for more. Just what we were looking for. It was clean, right on the beach, quiet. A great place for a get away weekend. We had a fantastic weekend at Casa del Agua. The beach house has an amazing front row beach view. The beach house is nice and clean, and fully equipped with all things you need in the kitchen. The kids loved that there were Board games, beach games etc available. The beach house has two bedrooms, perfect for a family of four. We will definitely stay here again! It was absolutely WONDERFUL (even if it did storm one night and day)!! The house is slightly dated, but quite nice and one of the CLEANEST houses that I've had the pleasure of staying in. Brannon's was awesome to work with and I will DEFINITELY try to book this house again next year. This was the best weekend I've had in a long time. The house was clean and well-stocked, the beach view was beautiful, local neighbors were friendly, and the rental company was very helpful. Even the homeowner gave us tips on where to eat and how to deal with the holiday beach goers. We loved it so much, we only went into town once to eat at Red Snapper... pricey but delicious seafood! I will definitely stay here again and again and again! We didn't want to leave, and I'm already planning a return trip for the entire family next summer. Love this place. We have been staying at Casa del Agua for the past 11 summers. It is so relaxing! 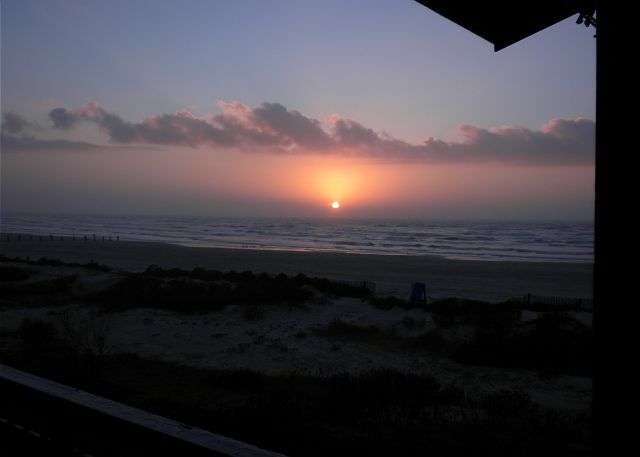 waking up to a beautiful sunrise each morning with the beach right outside your bedroom window! Even though we arrived at Surfside Beach to stay in the Casa Del Aqua the day Tropical Storm Bill was coming in, we loved it. It was cool watching the storm move in from ocean view and luckily no damage to the area. This beach house had everything we could possibly need during our stay. The house was very clean and well maintained, couldn't ask for a better beach house. Me and my two children (ages 15 and 5)loved this house. Lots of games and dvds for the kids. I highly recommend this house! The personnel at Brannan Resort Rentals was also very friendly and helpful. A well deserved relaxing time on the beach and functional home. My family thoroughly enjoyed our time on this stretch of the beach. 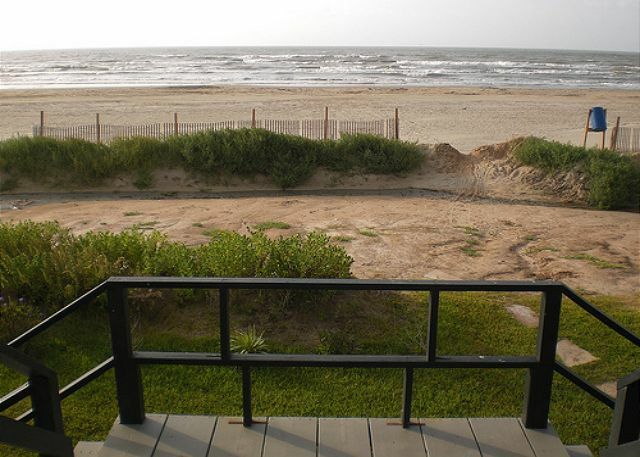 Easy access to the beach right in front of the house. The house, although small, is very functional. Even having one bathroom for seven people worked out due to its placement in the home and layout. We truly enjoyed our stay. Also, although it does not have a closed in outdoor shower, it does have an open outdoor shower which proved to be great for keeping the sand outdoors instead of inside.We are thinking about booking this house again for next summer. The Brannon Rentals staff was very friendly and helpful. One recommendation for the home is to get a longer shower curtain so the water doesn't run out onto the floor and TVs in the bedrooms would be a plus. Removing the nack nacks from shelves would be helpful to guests for being able to store their personal belongings. Overall, our experience was fantastic. I'm ready to go back now! We have been coming to Surfside for years and we have stayed in several different homes during that time. Casa Del Aqua is, by far, our favorite beach house and we plan to stay here every time we vacation in Surfside. If you are a couple, or small family, you will find this house to be as perfect as we have. From the views, to the amenities, to the path that leads from the deck to your own personal piece of Heaven in the sand, This place is amazing. Stay here once and you will be back again and again. We had a wonderful time. We needed a place to spend our anniversary that wasn't to far from home, and not so busy we couldn't enjoy it. This was the perfect week. Quite, beach very close to the water, and the sunrise and sunsets were beautiful. I would recommend it. We stayed here for a long weekend at the end of April. This property is well maintained and feels more like coming into somebody's home. Great find and well worth it. We plan on being back. Casa Del Agua - Best 1st Row Beach House!!! We had a wonderful vacation! The house was the perfect size for me, my husband, and our 14-year-old daughter. The location was perfect. The house was very clean and the décor was adorable! We were there over Thanksgiving, and the kitchen was so spacious that we had plenty of room to prepare and enjoy our meal. Sunrises from the deck are absolutely beautiful! We went riding horses on the beach, and I don't think there is another house we would choose next time. This house was just perfect! We felt so at home, it seemed as though it was our own. We will definitely be back! Casa Del Agua is our new home away from home! We have stayed at different rental properties in Surfside over the past 5 years, once or twice a year. After all this time, we have found our favorite place. It was beautiful, cozy, and well equipped with everything we needed for a wonderful vacation. It was money well spent an time away from the family/home, for our first girl getaway it was fun & relaxing we will definitely be doing this again. The house is quaint and perfect for my husband and me. The house has all the amenities and clean. It was so nice cooking and looking out the large picture windows at the beach. 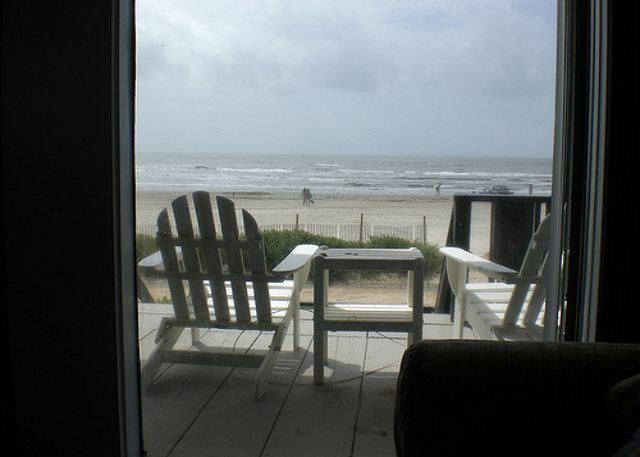 Loved having the beach at the door; boiled some shrimp and sat on porch and enjoyed the view and fresh air. Our stay was peaceful and we will return to this lovely home. Amazing house with amazing view! Would love to spend the rest of my life here! Truly amazing and great for small family vacation! Have not been to the beach in 5 years and Surfside will be our future destination. House was in a great location, wonderful view of the water and a comfortable stay. Wish this house allowed small dogs and the wicker furniture was not very comfortable. Also, could have done without seaweed, mosquitos and beach trash. We had a blast- relaxed the whole time! My sons and I stayed at Casa del Agua- what a lovely place! We thoroughly enjoyed staying there, and we are planning on coming back next summer or sooner! We had a good overall experience. The home was clean and everything worked. The view was good from inside and outside the home. The only negative issue we had was the seaweed. We were not able to use the beach in front of the home because of the vast amount accumulated on the beach. We had to tote our stuff down to the pedestrian beach which was much better. Aside from that we enjoyed our stay and would consider returning contingent on the seaweed situation. We have been renting this house each summer 10 years now. Each time has been terrific. The house is well maintained and the addition of a washer/dryer last year is nice. Updating the wicker sitting room furniture would be a plus. The house is directly on the beach exposing you to the sights and sounds that draw you to the beach in the first place. Linens are provided so all you have to do is pack your clothes and you are ready. Our linens where not there at check in put upon contacting the management compay they brougth them right over. We were very satisfied with our stay at the Casa Del Agua. The Kitchen was well stocked with anything needed to prepare meals. The bed was very comfortable and it's decor was very attractive. The shower and it's shower head was nice. Having a small washer and dryer was handy for small loads is a big plus for this rental. Overall the home has been decorated with a caring flair and we will certainly be returning back again. Cottage was very cute ,clean and very well equipped. Close to water and very handy. Had a great time. If only the weather had cooperated! Weekend was blustery and chilly, but we still enjoyed our fifth stay at Casa del Agua. Wi-fi is still inconsistent. Loved this beach house! It was just perfect for my wife and I and our two kids. Would definitely stay here again! The house was great. The view was amazing. Well stocked kitchen, comfortable beds. A new couch to watch tv might be in order as wicker is not the most comfy. Overall stay was worth going back to next time. Management could use a little help on their phone skills, and check out instructions, but would still return me that I know how it works. Absolutely enjoyed my stay! The cottage was very warm and inviting. Perfect place to unwind,and relax. Thank you so much to the Loves for sharing their home. Nothing better than listening to the ocean for great sleep! 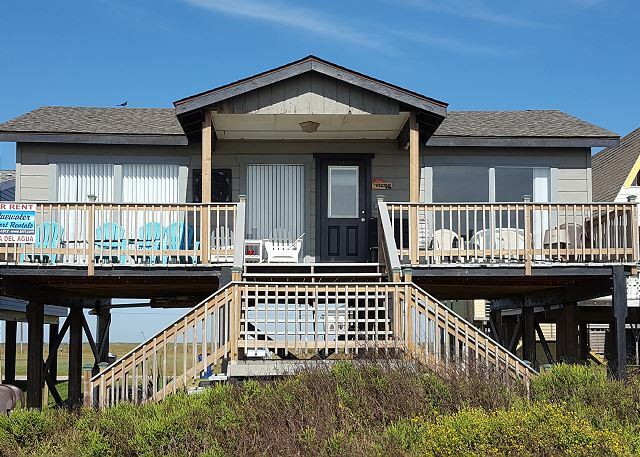 Cottage is right on the beach, equipped with everything you might need. It would be great for a family with kids in summer. Kids would not have much fun in winter as there is not much action other than wind and waves. Although some brave souls were in the water. Great stay! The house has a great view from both the outside deck and inside through the floor-to-ceiling windows that face the beach. We loved our stay at the Casa Del Agua house. The house was great, its location on the beach is less crowded, and the weather and water temps are perfect in September, not too hot. we had a wonderful time - everything was perfect ! This is the 3rd time we have rented Casa del Agua and would rent it again. The beach house is the perfect size, the kitchen has everything we need, and the location can't be beat. The charcoal grill is in need of some repair or replacement. The new shower was a nice surprise. Thanks for a great vacation. I 1st stayed at this house when my daughter was 2 in 1986. When I remarried in 2010 we spent our huneymoon there again. I love this little house just right for a couple or young family with a couple of kids, it's the perfect size. We have used Brannon realty for over 35 years and it is always a great experience. See y'all next year. Escape from every day life. My husband and I had a wonderful time at Casa Del Agua, It was a perfect place to spend a much needed escape from every day life. I loved the decor, very romantic and the beds were very comfortable, I didn't even miss my own bed,that's never happened before. It is also great for gatherings, We had people over for the day and it easily accommodated my guests. The kitchen is great for entertaining. We loved this cottage, We will return. This is the second time we've stayed here. Very cozy. Has everything you need.We had a great time. This is the fifth time I've stayed at Casa del Agua and I love it. The remodeling of the bathroom and addition of washer/dryer makes it even better. A very quaint and charming beach house with a lot of character and everything you would need in the kitchen! Love the floor to ceiling windows in the living room and bedroom, with a beautiful view of the beach. 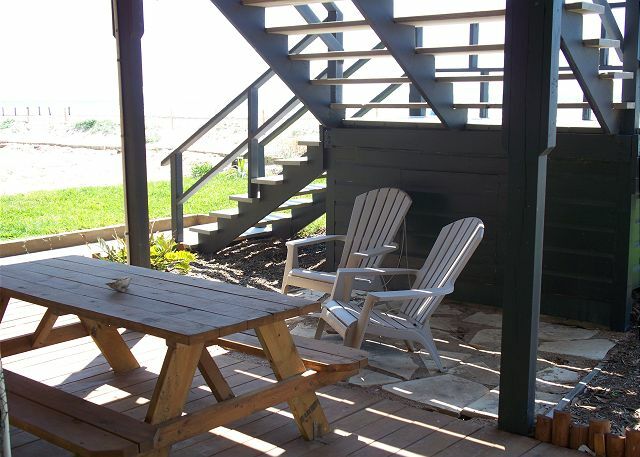 The back porch overlooking the beach is a perfect place for coffee in the mornings or a glass of wine in the evening. The place is nice. Location is great. Well stocked with pots, pans, plates, cups, etc. The only thing I would mention is the price. It was $600 all in for 2 nights. I think it is a little pricey but other than that, I wish I could wake up there every morning. This was the sweetest house!And right on the beach. It was decorated beautifully. We were there for an extended stay and did most of our cooking there, and the kitchen had everything we needed. Beds were very comfortable, new washer and dryer. Could not ask for more out of a vacation property. We would definitely stay there again. This was our first VRBO and it was a positive experience. The property exceeded our expectations - location, view, etc. We would definitely consider returning to this house. Every summer we stay at this beach house. We love the openness and light. It is full of wonderful beach-related accessories. Love it. This was our third time to rent Casa Del Agua and, as always, we had a fantastic time. The house is always spotless and well stocked with everything you need to cook (if you like that sort of thing.) It is also at the far end of the beach (Swan Lake,) so you don't have the crowds in front of the house. We were there in May, before the High season, and during the week we pretty much had the beach to ourselves. Surfside now has golf cart rentals, which makes it much easier to get up and down the beach, instead of driving the car, giving us one more activity. The only thing we would change is the furniture in front of the TV... Wicker may look cute, but it is just not that comfortable for relaxing and watching a movie. Over all, though, we can't wait for next summer, when we will rent the same house for another wonderful vacation. You just can't do better than Casa del Aqua. This house is furnished with all types of kids games and some movies. So when they were done at the beach they had plenty to do inside. I would definitely recommend this property to anyone seeking a beach rental. This was my first stay in Surfside and the area reminds me of an idyllic coastal beach town not too commercial but close enough to Clute/Lake Jackson that you can retrieve supplies if you left anything behind. This property was absolutely gorgeous and decorated so cute on the inside. It made you feel like you were at the beach! The deck was the best part and we spent every night out there listening to the waves. The location was at the end of the private beach areas so it was more secluded then other areas, which made it nice to relax. Already dreaming of next year's vacation! Couldn't ask for a better house or location. We usually stay in condos but will be back to Casa del Agua next time. Love this house! We have been going there for years! My daughter and now my granddaugher go every summer. We have rented this same house several times and love to go back. The decor is charming, the location could not be better. I would recommend to anyone that wants a close getaway from Houston! We stayed at the Casa del Agua for the second time, but this was our first visit after Ike. We found the home to be exactly as it was when we were there previously. We love this little house and will definitely be back! The only negative comments I have are the lack of a comfortable chair and reading lamp in the living room. Everything else was great! We have stayed at Casa for years, and we always love the house! It is such a charming, cozy little house that really captures the spirit of the beach! We were so touched to see the picture album of the damage done by Ike, and subsequent repairs! We love the coziness of the house. It's a perfect location. 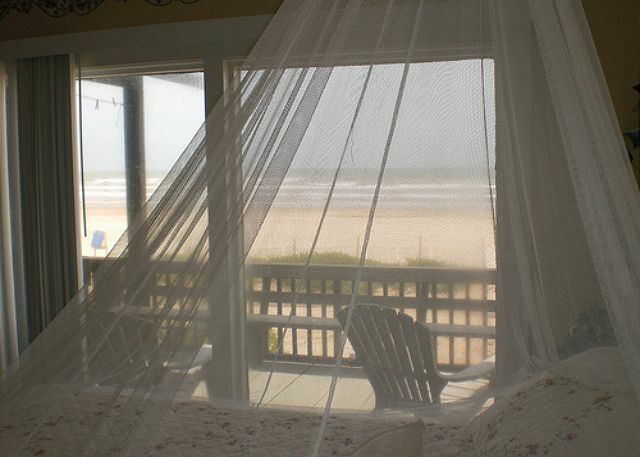 We have been coming to Surfside over 30 years and this was one of the best stays. Brannan Realty is always great to work with. Thanks again for a fun stay. a guest from STEAMBOAT SPRING, COLO does not recommend this vacation rental. 1) Please don't publish either my name or home town. 2) The neighbor's deck lights are very bright and shine directly through the flimsy blinds into the bedrooms. 3) One of the (apparently drunk) people staying at the Circus house on the next street came by one night and busted windows in two vehicles - mine & the one next door. 4) The police did not seen remotely interested in following up after the initial report. I left several phone messages. 5) Got a follow up call from the manager, but did not see any action taken. 6) Considering all of the above, I will not return. I recognize this may be a very unusual event, but I will not risk a second chance. Why We Love Casa Del Agua! Over the past 30 years, we have stayed at many beach houses. Casa Del Agua is our very favorite! We have stayed in larger houses, even fancier houses, but there is something about the nautical themes visible in every room, the windows that fill the rooms with light, the views of the beach and the Gulf of Mexico beyond, that can't compare. We have watched the sun come up from the front porch,we have walked out in the surf to catch fish, or scoop up some blue crabs,only to go inside and prepare a delicious feast fresh from the water! What wonderful memories we have! Hopefully we will have many more! Thank you Brannan Realty! See you this summer Casa!